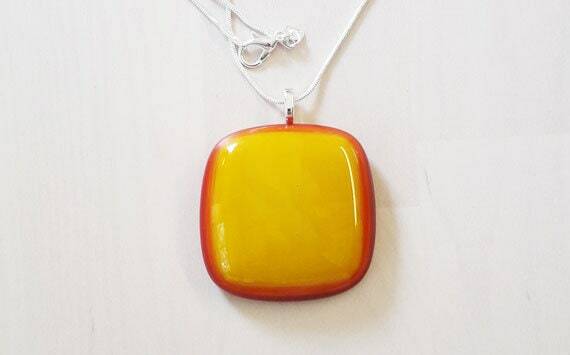 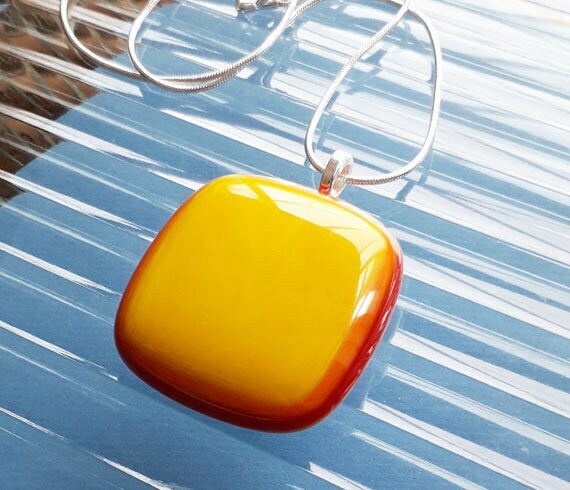 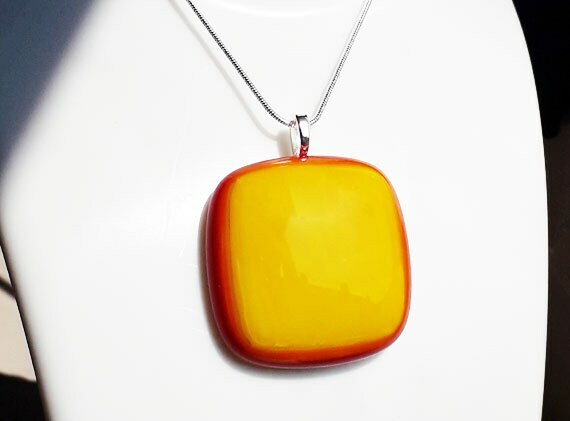 Fused glass pendant in bright yellow, red and orange glass. 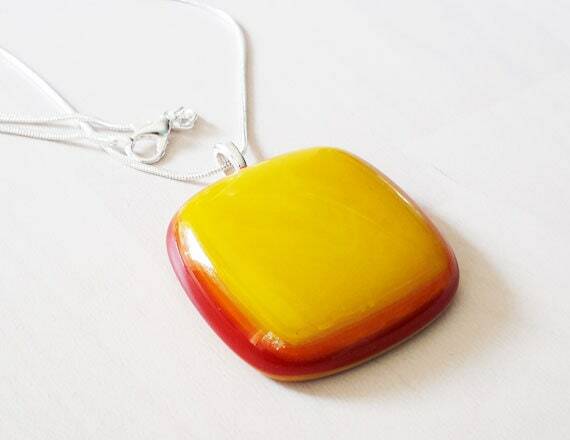 This is a bold, vibrant pendant, made from bright yellow glass with orange and red stripe background. 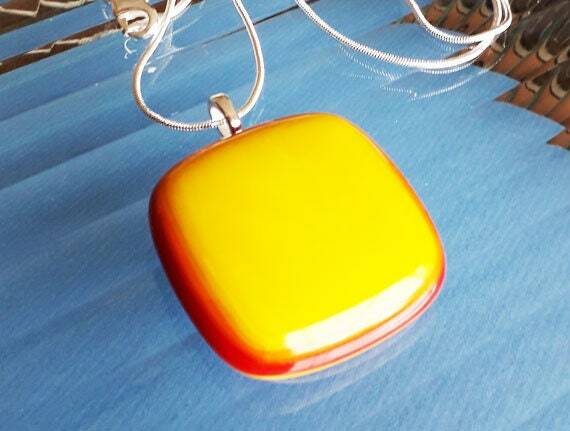 It's square, about 37mm x 37mm and it hangs from a silver leaf bail on a silver snake chain.